The front door is the main entryway into your home. Some may argue that it is the most important for aesthetic value. But we disagree. We first and foremost want to consider its function and its security aspects. In choosing a front door you’re expressing what your entryway means to friends, family, neighbors, visitors and strangers. 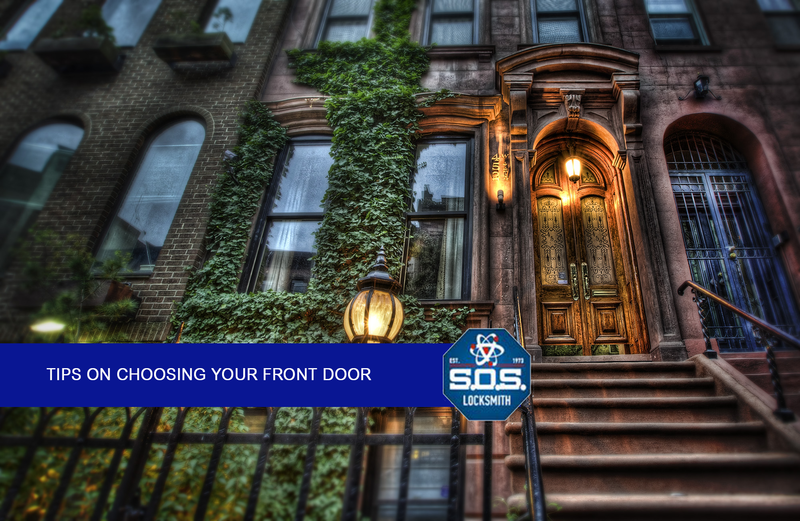 All things must be considered in depth before purchasing a front door. You may have already chosen the color you want for your new front door, but we’d like you to consider what kind of material you want that door to be. In the end that will create the biggest impression on your home, not the paint job. Steel doors are common for entryways, but not all the time do they make the most sensible purchases. With steel doors it’s what is on the inside that counts. Steel and aluminum doors or combinations thereof -with a frame – can be especially sensitive to weather. In direct sunlight they can absorb and abundance of heat and in the cold they can allow a chill to permeate from their surface. Unless noted by the manufacturer (of an insulated construction) keeps steel doors in environments that are subject to Mediterranean-like temperatures. Take note that steal doors will also need periodic resealing and a good peal-free paint to boot. Fiberglass and composite doors are the crème de la crème of entryway doors. They require almost no maintenance and can appear like a wood door and function with nearly the same amount of insulation. Like anything else, they will be subject to periodic resealing, but can procure you with the biggest warranty over the other doors. That, however, comes at an expense. Fiberglass and composite doors tend to soak up the most banks in an initial cost.